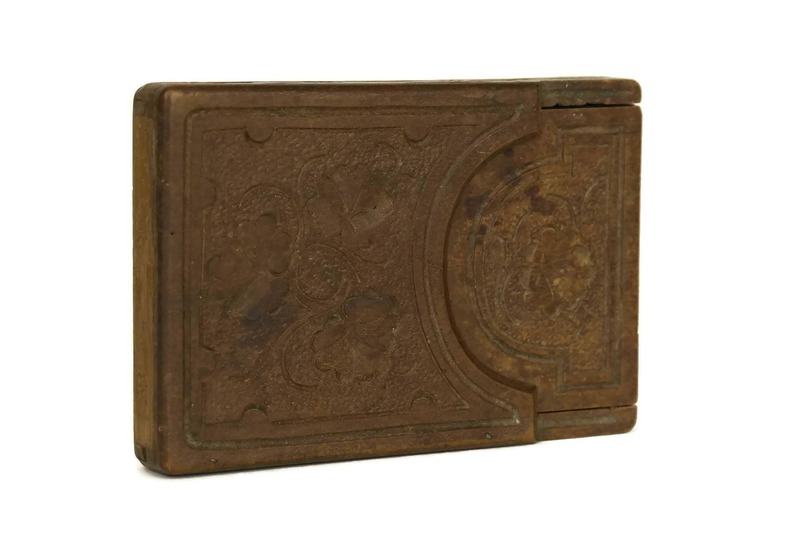 Antique Folding Mirror. 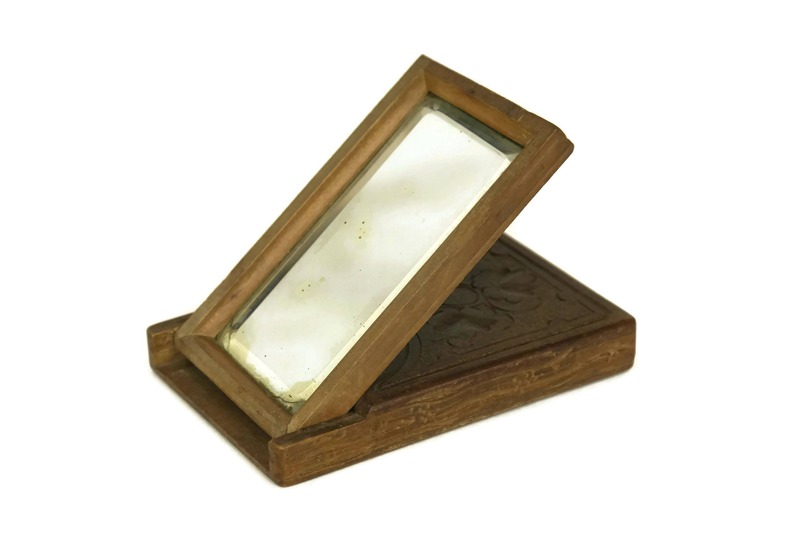 Carved Wood and Beveled Glass Traveling Mirror. 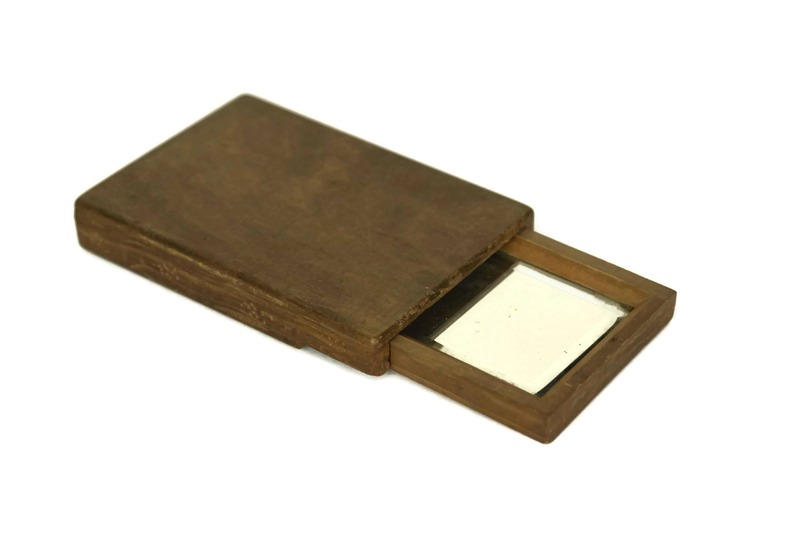 Makeup Compact Looking Glass. French Boudoir Decor. 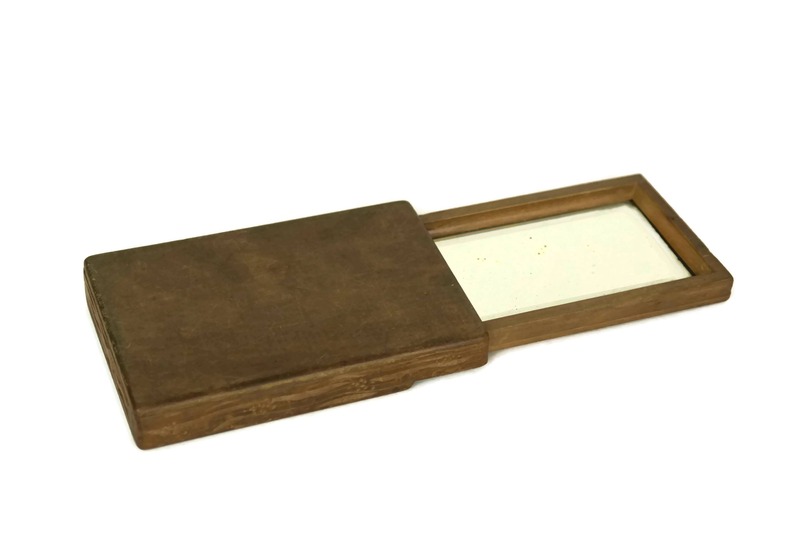 An very elegant antique folding mirror made in France in the early 1900s. 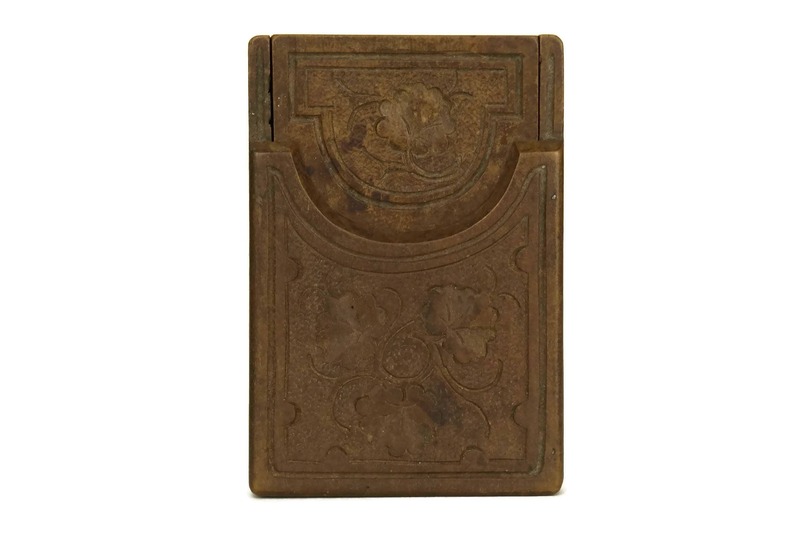 It features a hand carved wood case decorated with charming leaf pattern. 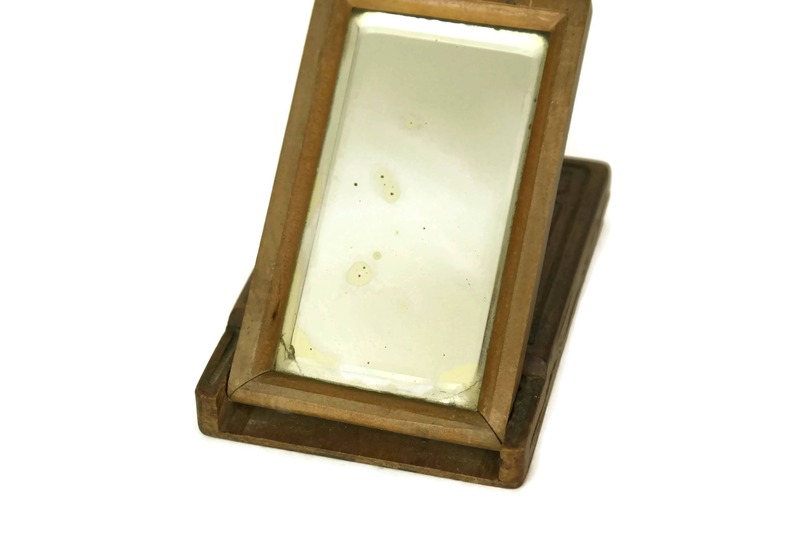 The traveling mirror opens to reveal an original beveled glass mirror. 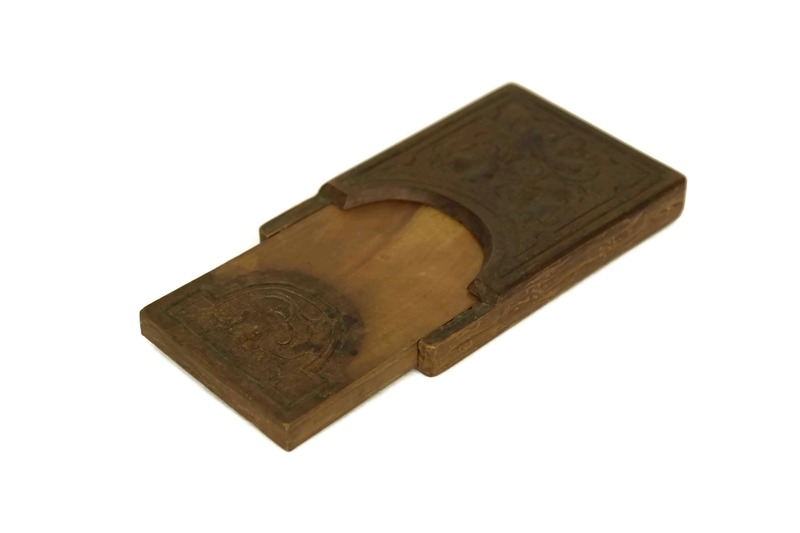 It features a compact design and rests at a 45° angle, perfect for makeup or shaving. It would make a great addition to a French boudoir decor. 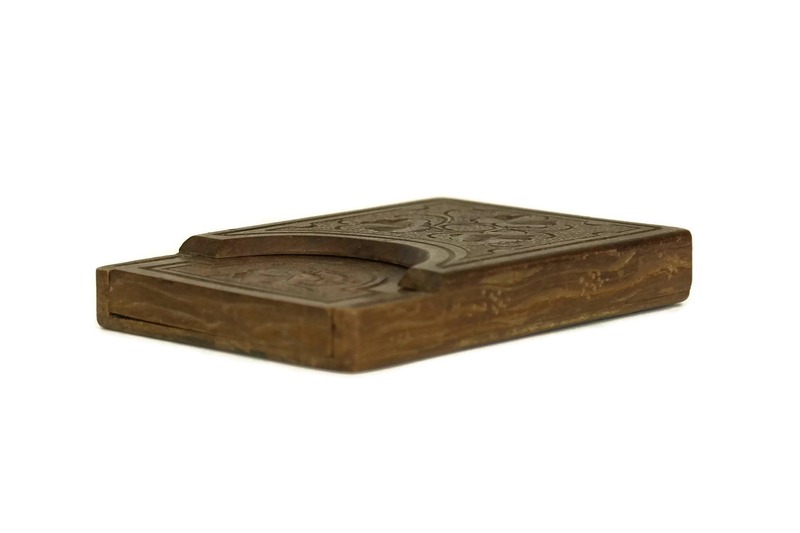 Closed: 4" Long x 3" Wide x 1/2" Thick (10,5 cm x 7,5 cm x 1,5 cm). 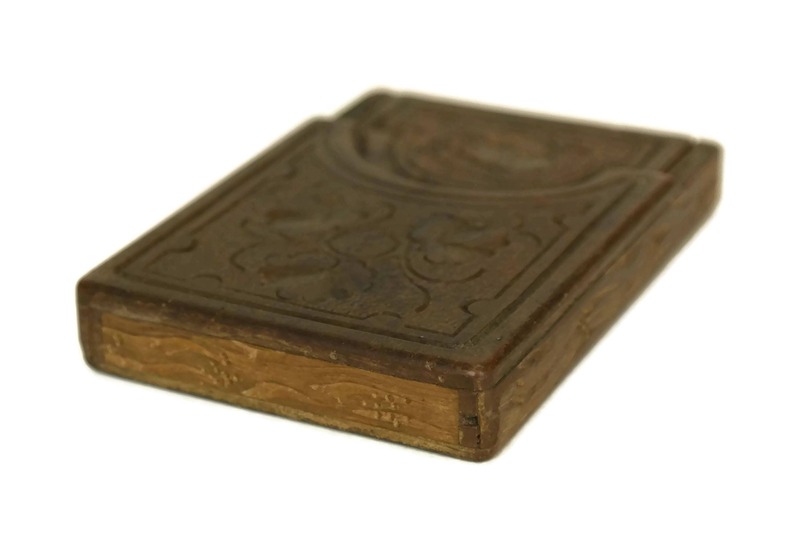 Open: 4" Long x 3" Wide x 3" Tall (10,5 cm x 7,5 cm x 8 cm). 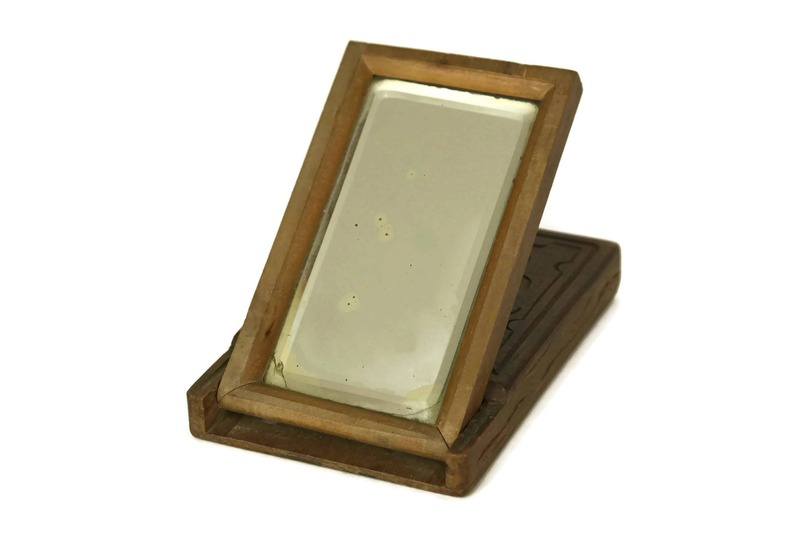 The antique looking glass is in very good condition with light surface wear and patina. The mirror has age spots and lines to the silver surface. A great and curious piece. Received as described and packed extremely well. Many thanks to all at 'LeBonheurDuJour'.